Fibroids are actually relatively common in women of childbearing age. After menopause, fibroids shrink and it is unusual for fibroids to cause problems. Fortunately, most do not require uterine fibroid removal or uterine fibroid surgery unless they are causing symptoms. There are several different approaches for fibroids treatment, and not all are always applicable in every case. If you have symptoms, talk with your doctor about options for symptom relief. Fibroids embolization is a procedure where small particles (embolic agents) are injected into the arteries supplying the uterus, This procedure is called Uterine Fibroids Embolization or Uterine Artery Embolization and cutting off blood flow to fibroids, causing them to shrink and die. This technique can be effective in shrinking fibroids and be relieving the symptoms they cause without fibroid removal surgery. Complications may occur if the blood supply to your ovaries or other organs is compromised. Embolization is highly effective in treating symptomatic fibroids. It serves as a non-surgical fibroid treatment and the chances of recurrence of fibroids are small. Patients retain their uterus and the impact on future pregnancies is no greater than surgery. Endometrial Ablation – Endometrial ablation, which destroys the endometrial lining of the uterus, can be used if the fibroids are only within the uterus and not intramural and relatively small. High failure and recurrence rates can be expected in the presence of large or intramural fibroids. • laparotomy, which is the most invasive surgery in which an incision is made through the abdomen. Myomectomies are associated with a substantial recurrence rate. Hysterectomy – Hysterectomy has been the classical method of treating fibroids. Although it is now recommended only as last option, fibroids are still a leading cause for hysterectomies. 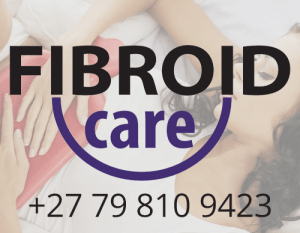 Medication – Several medications are in use to control symptoms caused by fibroids. NSAIDs(nonsteroidal anti-inflammatory drugs) such as voltaren or ibuprofen and naproxen, can be used to reduce painful menses. Oral contraceptive pills are prescribed to reduce uterine bleeding and cramps. Anemia can be treated with iron supplementation. Intrauterine devices (IUDs) are highly effective in limiting menstrual blood flow and improving other symptoms. Side effects are typically very moderate because the levonorgestrel (a progestin) is released in low concentration and only locally. There is now substantial evidence that Levongestrel-IUDs provide good symptomatic relief for women with fibroids. Several hormonal and other medications can help to relive the symptoms of fibroids. Your gynecologist is in the best position to advise you about this approach. Women who undergo evaluation by uterine fibroid specialists have more options and most undergo uterine-preserving minimally invasive therapies.